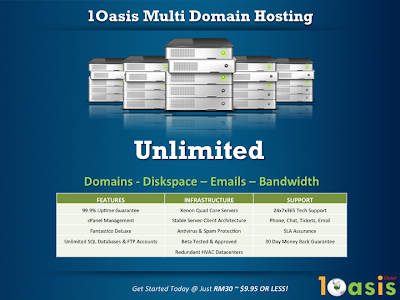 We now offer Unlimited Hosting Packages with completely unlimited Domains, Bandwidth, Diskspace and Emails. Our state-of-the-art Datacenters are HVAC controlled and fitted with emergency detection systems that ensure 99.9% Uptimes. Additionally, we stand by our 30 Day Money Back Guarantee to help you test our servers before you can commit to us. Hot phrases for that new domain! Malaysia-based Domain/Internet Solutions Provider, since 1998.